Hi. Have you heard the name Cate Blanchett, two-time Academy Award-winning actress? She's pretty great, been in a few good movies. Perhaps you've heard of her? 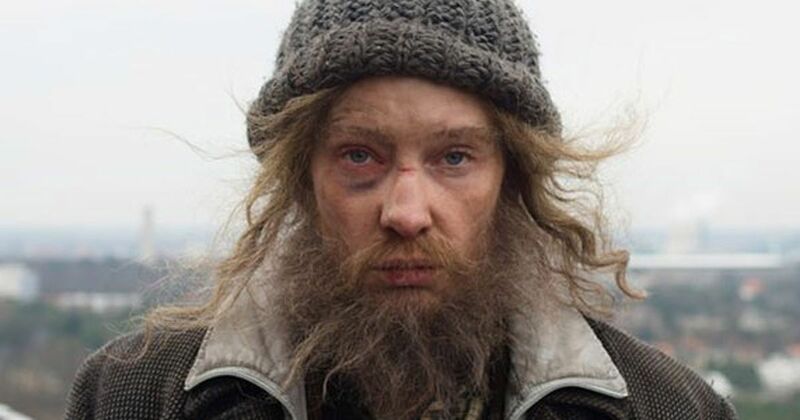 Well, if you haven't, please see her new audition reel movie, MANIFESTO, which premiered last week at the Tribeca Film Festival. I jest (sorta). I assume of course that many of you are well familiar with Blanchett's work (Carol, Blue Jasmine, etc). But in MANIFESTO, the shrill new drama consisting of a series of rants and strongly-worded exchanges about topics including art, capitalism, and women's rights, she goes way out of her way to remind you that SHE IS AN ACTRESS, DAMMIT. And not in a good way. She plays countless characters, even in dialogues with herself as another character. She dons a variety of accents, wigs, attires, and makeup to let you know that she not only can play any character, but she can play all the characters at the same time. Never have I seen such a gratuitous series of performances that manages to say everything yet nothing at all whatsoever. This is disappointing, because I am such a fan of Blanchett. But this effort is just so desperate, so look at me, so unnecessary that I am stunned that it comes from such a seasoned actress as herself. The second feature from writer/director Julian Rosefeldt, MANIFESTO is annoyingly narcissistic, even in its cleaver-sharp critique of society. However, there are times when the commentary is actually so spot on that you're almost angry at yourself for appreciating that. Perhaps presented differently, not as gimmicky vignettes with Blanchett playing dress-up, it could have been a smart, effective narrative. But instead, Rosefeldt decided to do it this way, which some may see as a bold experiment. I find it indulgent and confounding. Did you totally miss the point or is your education too shallow to allow you to understand what Manifesto is about? If you had bothered to do some research, you would have known that film was not the original format of this production. The piece is also meant to be strident, which is why it's based on actual political manifestos. I'd say your review is what is lacking, not the artistic piece.